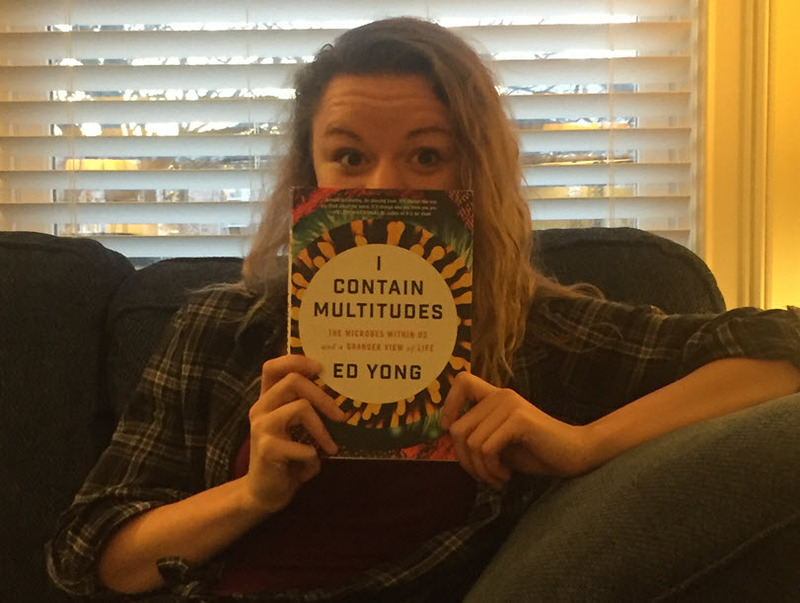 Laura recommends the book "I Contain Multitudes," by Ed Yong, if you’re interested in learning more about the human microbiome. After about a month off, us global health students are back to hitting the books and preparing for fieldwork. While I was home on break, family members and friends were asking me a lot of questions about science and health topics they think I might have encountered in school. All too often, emerging research in global health (or any field, for that matter) stays within the academic world, which makes it challenging for the curious citizen to stay informed. Below are five simple ways you can keep up-to-date with global health-related topics such as emerging diseases, health access disparities, and foreign policy without burying yourself in textbooks. One major news source is your Facebook (or other social media) news feed. By simply “liking” or following credible global health news sources, for instance the WHO or the CDC, you’ll transform your news feed so you’re more exposed to what’s happening globally and what healthy choices you can make for you and your family. If you’re on Twitter, consider creating a list of your favorite global health organizations so it’s easier to follow their news without having to weed through tweets on anything from Penguin Awareness Day to the Super Bowl. Additionally, many health-oriented non-profits and NGOs, like Partners in Health, have social media pages, so you can keep informed on their work in specific regions of the world. There are also many special interest pages that publish and share articles on a variety of science and health related topics, such as Science Alert. With social media, however, it’s important to ensure that you’re choosing pages that post factual information from credible sources—always check the primary sources! Blogs are also a great way to read different perspectives on emerging global health concerns. In addition to the DGHI blogs, of course, I would also recommend PLoS translation global health blog; PLoS (Public Library of Science) is an open access journal publishing the latest in scientific research. Their global health blog features writers from all over the globe discussing everything from infectious disease outbreaks to matters of public policy. Additionally, most books are available in audio form, so you can multitask by listening on your morning run or on your daily commute to work. Podcasts are another great way to maximize your commute time with some intriguing news stories, without having to commit to a 19-hour audiobook. One personal favorite of mine is Radio Lab, a show where “sound illuminates ideas, and the boundaries blur between science, philosophy, and human experience.” Like many podcasts, their shows range anywhere from 20 minutes to an hour. If you’re more of a visual learner, documentaries are a great way to learn more about your global health topic of interest. There are a lot of great series available on Netflix and Amazon Prime on the environment, technology, history, religion and so on. On Netflix, look for Poverty, Inc., an eye-opening film that challenges the idea of poverty alleviation via charity. A Place at the Table and Weight of the Nation, available on Amazon, detail the changing faces of hunger and obesity in America. YouTube is also a great resource when you’re craving an interesting lesson but are short on time. Check out This Week in Global Health (TWiGH), which puts out weekly videos discussing different key topics in global health. TED Talks are a great resource to hear researchers talk about their work, and they include a wide range of topics; some favorites I’ve seen include Chimamanda Ngozi Adichie on feminism and Ellen Jorgensen on CRISPR (a relatively new discovery in gene editing technology). And Bill Gates has given several excellent talks on global health topics. How do you keep up with global health news? Leave a comment to share your favorite source of global health information!